Looking for a great gift for your little reader? Or perhaps an any day gift just to say you are special, or that you are doing a great job? Kohl's has an amazing line of items that you will love! Not only will you be able to give a gift your special someone (at a really great price) you will also feel great in knowing, for every purchase from the Kohl's Cares collection, Kohl’s will provided financial support to hospitals across the country. The donations fund hospital outreach programs focused on children’s health initiatives and address the specific issues needed most in each hospital’s community. For this seasons outreach Kohl’s is teaming up with Little Golden Books. Marked with the historic gold-foil spine, each keepsake book brings storytelling to life with every turn of the page, creating lasting memories families will cherish for years to come. 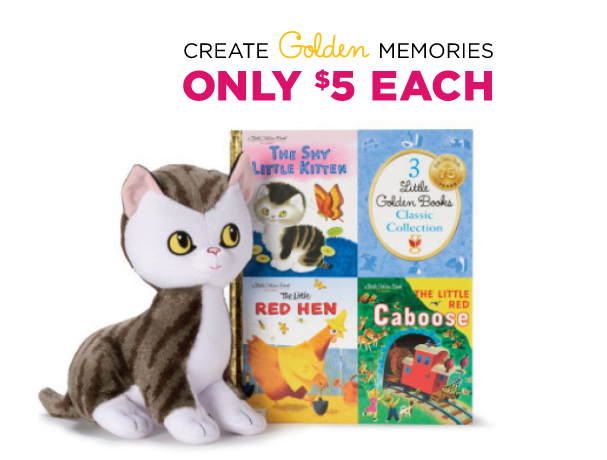 Books and plush toys are priced at $5 each, with 100 percent of net profit benefiting children’s initiatives nationwide. Who here were fans of Little Golden Books as a child? Well I know I sure was a big fan, I had so many of those little golden spine books they were everywhere! There were so many great stories that I loved but two of my very favorites are now available in a book collection and in plush form! 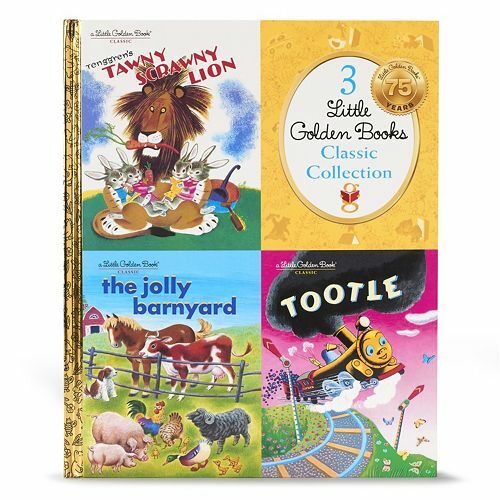 The Kohl's Cares® Little Golden Books "Tenggren's Tawny Scrawny Lion" Book Collection - features 3 classic stories in 1 book including, "Tenggren's Tawny Scrawny Lion" by Kathryn Jackson, "The Jolly Barnyard" by Annie North Bedford, "Tootle" by Gertrude Crampton. 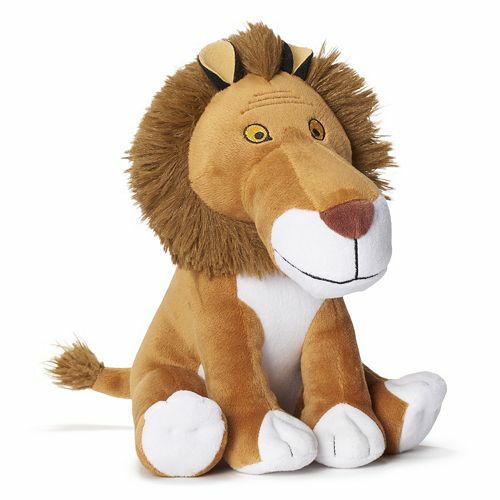 This has a companion plush that you can buy separately as well, the Kohl's Cares® Tawny Scrawny Lion Plush Toy is simply adorable! A little more plush than I imagined the scrawny lion being… (when I was a kid I thought he was super skinny) but that is a good thing he is so soft and squishable! Just so cute! 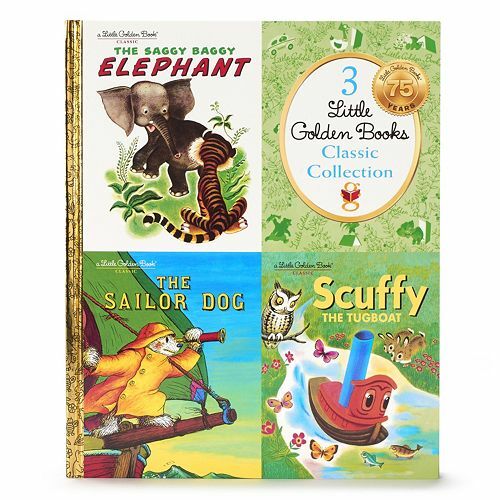 Another favorite story of mine is in the Kohl's Cares® Little Golden Books "The Saggy Baggy Elephant" Book Collection – this 3 classic stories in 1 book features, "The Saggy Baggy Elephant" by K & B Jackson, "The Sailor Dog" by Margaret Wise Brown and "Scuffy the Tugboat" by Gertrude Crampton. When I was little I wanted to be a vet, not just any vet I wanted to be sure I could help elephants. I was fascinated with elephants and of course I loved reading The Saggy Baggy Elephant, and now you can read this classic and have a fun Kohl's Cares® Saggy Baggy Elephant Plush Toy to hang out with you while you read! To reinforce the company’s commitment to children and families, and with your help, Kohl’s has provided financial support to hospitals across the country. The donations fund hospital outreach programs focused on children’s health initiatives and address the specific issues needed most in each hospital’s community. I think it is such an amazing thing Kohl's is doing for the community. Did you know that as of now Kohl's has raised nearly $317 million through the Kohl’s Cares merchandise program? That is astounding, and really deserves some applause! Would you love to give back and purchase something (or a few things!) from Kohl’s Cares? Be sure to, it is an easy way to give back! 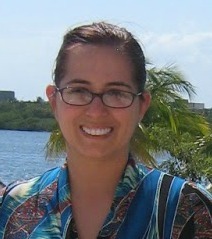 The Kohl’s Cares collection is available at all Kohl’s stores and on www.Kohls.com now through early July. The generous folks at Kohl’s are giving one of Susan’s Disney Family readers a chance to win a Kohl’s Cares prize pack! Would you like to enter? Please let me know, is there anything from Kohl's Cares you would love to pick up? There are also other ways to enter, please enter below. One winner will win a Kohl’s Cares prize pack! Disclosure: The reviews and or opinions on this blog are my own opinions . I received select items from the Kohl's Cares line to facilitate this post. No monitory compensation was received. I was not required to write a positive review. Your experience may differ. The opinions I have expressed are my own I am disclosing this in accordance with the Federal Trade Commissions 16 CFR Part 255: Guides Concerning the Use of Endorsement and Testimonials in Advertising . 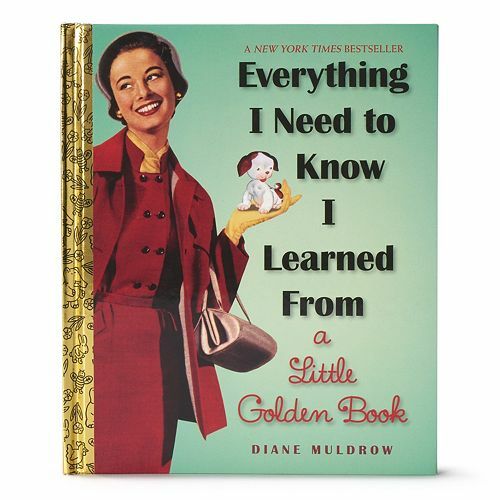 A friend bought me "Everything I Need to Know I learned from a Little Golden Book" because they know I loved these when I was a kid. The Little Red Hen. Great book to give a new mom friend of mine. I would like to get the plush Saggy Baggy Elephant for my niece. I am starting a library for our new grandson so I would love to get Kohl's Cares® Little Golden Books "Tenggren's Tawny Scrawny Lion" Book Collection. I would like the Shy Little Kitten book and the kitten stuffed animal. I am wanting to add to my collection of Golden Books. My Granddaughter would love The Poky Little Puppy. I would love the cat or dog plush toys and any of the books for my niece and nephew. The Pokey Little Puppy! I still have my original copy! Oh I love the classic Little Golden Books what good memories. I'd have to pick up the elephant set. I have always loved the stuffed animals associated with Kohl's Cares. My daughter loves Elephants, so, I'd like to get her the Saggy Baggy Elephant book. These were my favorite books growing up! :) I'd love to get the Little Golden Books "The Saggy Baggy Elephant" Book Collection and plush. I like the plush kitty. 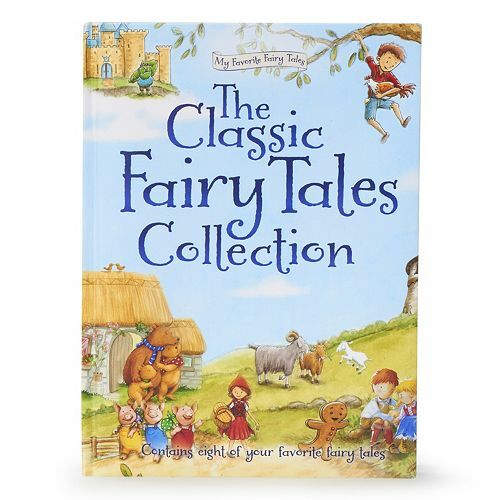 I would love to get the The Classic Fairy Tales Collection! I read the Little Golden Books to my children, now it is time to pick up some new ones for the little one to join our family soon. The Shy Little Kitten book and the stuffed cat would be great to have so cute. The Saggy Baggy Elephant book is something I'd love to pick up for my littlest, she'd love it! 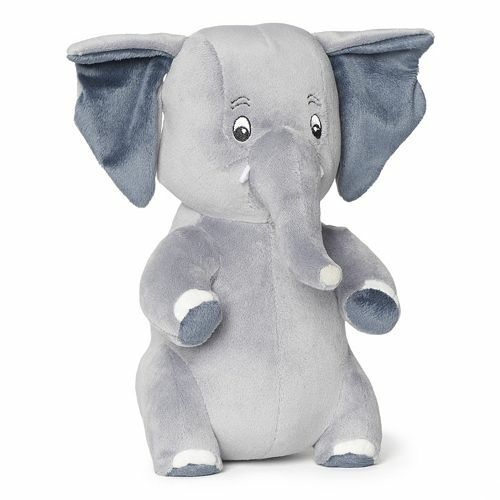 I would love to pick up the Kohl's Cares Thidwick the Big-Hearted Moose Book and the Kohl's Cares Thidwick Plush Toy that goes with it for my little nephew who loves Dr. Seuss. I like the 3 in 1 book collection featuring The Saggy Baggy Elephant and Scuffy the Tugboat with elephant and tugboat plush. I would say the Tawny Scrawny.